Honda have revealed an all-new Fireblade-esque paint scheme for their best-selling CBR125R at the Cologne Motorcycle Show. The CBR125R, which has been a massive sales success for the big Japanese firm, was revealed at the Cologne show sporting an all-new paint job. 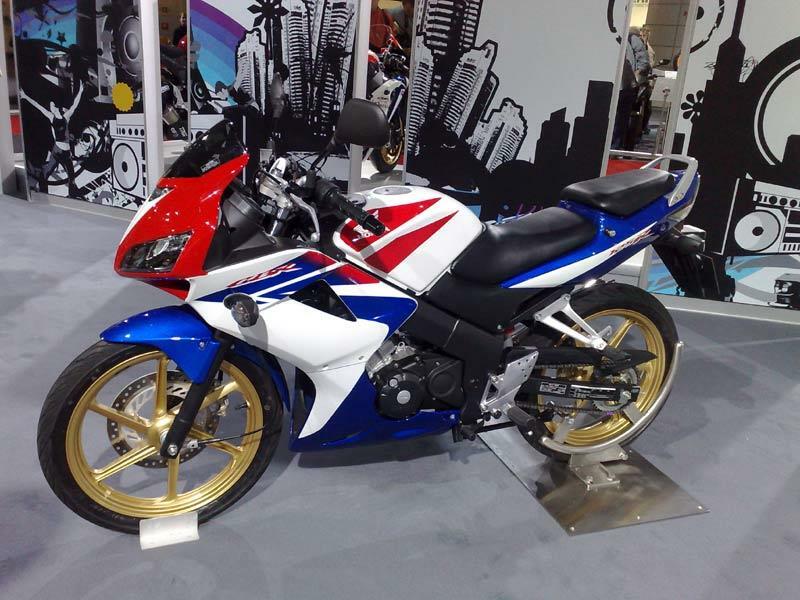 The new colour option is traditional HRC red, white and blue, together with gold wheels, resembling the paint option that was available on the 2007 Fireblade. We'll have more news from the Cologne Show as it happens, so check back for the latest updates.